Please welcome back guest blogger Rose Norton! You may remember Rose from previous posts like these. If not, go ahead and read. I'll wait. In the roller derby world, the new-to-the-game girls are known as “fresh meat.” Think Rocky Balboa verses the slab in the cooler. Derby veterans are excessively kind to fresh meat for two reasons: 1) They want more girls in derby, and 2) They can’t wait to beat the hell out of you. All vets have a smile that is both sweet and unnerving. To them, you look delicious with your porcelain-soft skin, supple thighs, unmottled shins, and unshredded fishnet tights. To them, the average fresh meat looks like the perfect little doll, scared and curious. The sight of fresh meat takes the derby diva back to a time when she was a knobbly-kneed freshwoman on over-tightened rookie wheels, getting the beating of a lifetime. She will pass along these gifts to you. She will throw blocks your way, and she will make you fall...And then, she’ll offer you advice on the best ways to fall or pull you to the side for a little one-on-one tutorial. My first practice ever was in Florida, in a sports complex, in the middle of a heat wave without air conditioning. It was rough. It was exhilarating. It was educational. This has been my credo ever since that day. I still eat track plenty, but at least I have something to remember on the way down to the ground. However, if you haven’t ever experienced a tight bond with strong women, be prepared. There are so many women that are crass and goofy and you will love them once you get going. Derby is a sport for those sadomasochistic women that more often than not can’t afford therapy. Soon, you become obsessed by the thrill of flying through the air on eight measly pieces of rubber with your choice of hardness. You become accustomed to, and almost look forward to, the adrenaline rush after a good, clean tumble on the track. All of a sudden, work becomes merely a means to afford this amazing new habit. There are a few signs that you are in love with derby: You will begin spending late nights on E-bay searching for the perfect Triple-8 pads. You will begin to exhibit Pavlovian-like reactions, and drool at the words “China Bone Ceramics” (should you find this vague, don’t worry, you’ll catch on quick). You will begin throwing shoulder blocks to the people you pass in the grocery store aisles. If you are showing any of the aforementioned symptoms, you are one of us. Welcome to the ranks, sister. You may just want to invest in the good skates, say goodbye to your kids, and kiss your spouse one last time. Your kids will miss you, but they love cheering at bouts. They will love picking out their own names. “Smack-n-Cheese” and “Ham Slamwitch” are my two favorite fans. As far as spouses go, they will think it’s hot. Unbeknownst to them, however, they have now joined the ranks of the derby widows--the love of your life before you met derby. 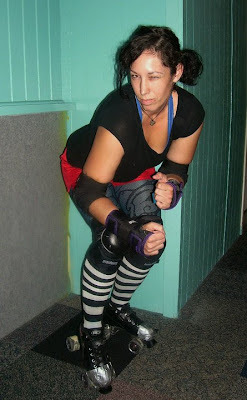 But they will bow down to your derby goddessness when they see you hip-check a jammer into submission and recycle her into the back of the pack--in hot pants and fishnets, no less. After watching their first bout, it’s only a matter of time until your manimal (or womanimal) wait hand and skate--er, foot--on you after a vicious derby day. Yes, derby is certainly a way to shake things up with your significant other. I suggest that the quad-curious should at least check out a bout in your local area, and talk to the girls on the teams or hit up the after party. Most derby girls hunger for fresh meat. 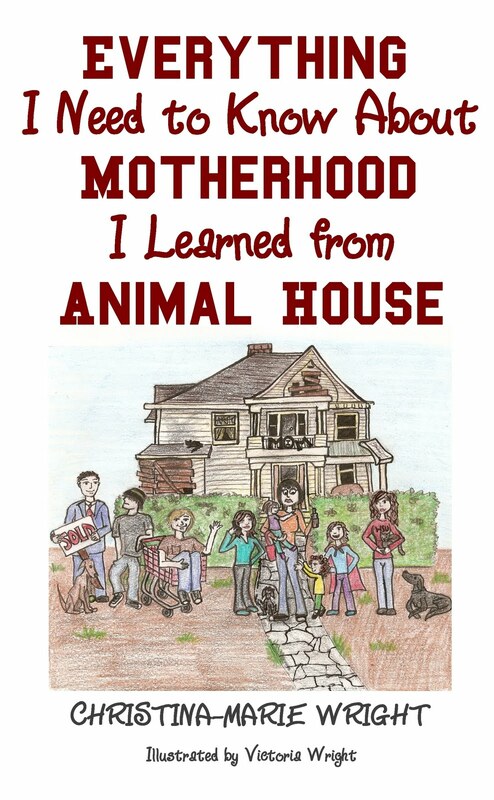 Rose Norton is a mom/writer/derby girl living in Spokane, WA. She's known as "riotmama" on the blogger, "Mia Feral" on the track and "food, now!" in the home. Rose writes stories about her fantastic voyages to the grocery store, and other reasons she's crazy. P.S. - She'll be at the Lilac City Roller Girls training camp on February 19th! Who's with me? Road trip!